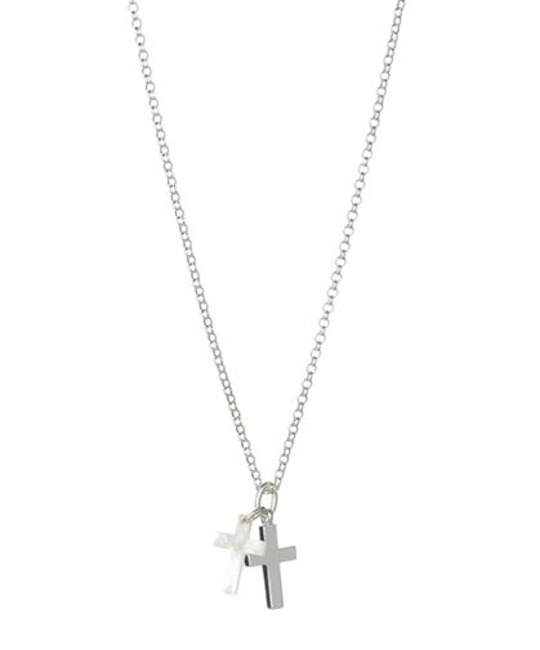 A sterling silver and Mother of Pearl Cross set on a 16" sterling silver chain. 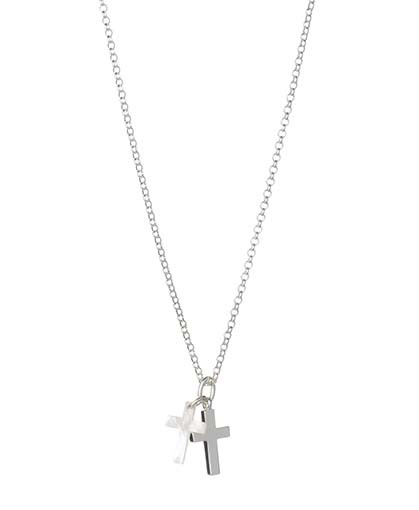 The charm measures 10mm in width, 2mm in depth and a total drop of 15mm and adds a contemporary feel to the traditional silver cross necklace. This would make a perfect Christening gift or Holy Communion Gift which can be loved and worn forever. All Molly Brown jewellery arrives with complimentary luxury gift-wrap. SILVER CARE: Polish with soft cleaning cloth. Best stored in a plastic sealed bag, to avoid exposure to oxygen and moisture. PEARL CARE: Pearls can be cleaned using a soft lint-free cloth, dampened with water, allow pearls to air-dry before putting away. Store in jewelry pouch provided with purchase.